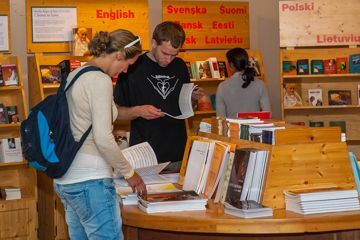 Books, recordings and films published by Les Presses de Taizé or other publishers are available throughout the world. To see what is available in your region, please make a selection in both drop-down menus, then press Go! The music download area contains printable music for Taizé chants (for assembly, choir, soloists, guitar and other instruments) as well as CDs recorded at Taizé in mp3 format. The CDs recorded at Taizé are also available for legal download from the main digital outlets (iTunes, Amazon, etc.). They are all listed with the single word “Taizé”, with or without the accent, as the artist name.